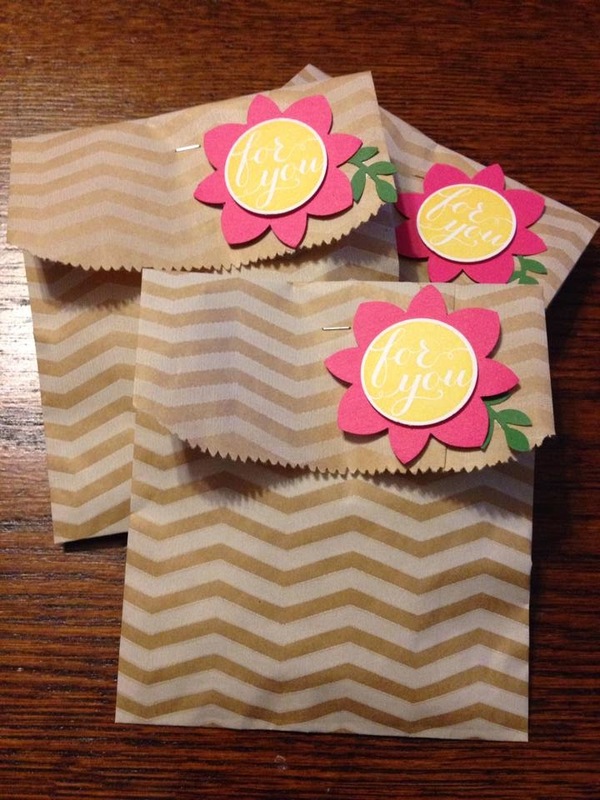 I made a few quick little gift bags using the Chevron Tag a Bag Gift Bags. I was inspired by a gift I received from my upline, Meg, and I whipped these out before work this morning! If you follow my Facebook business page, you saw these hot off the press before 7 this morning. 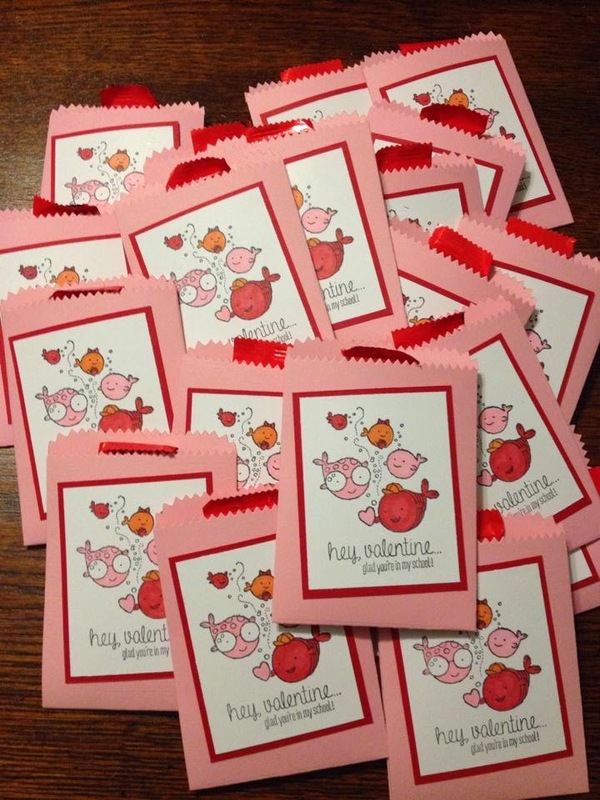 Valentines for my first graders - done. I'm not usually big on coloring a lot but it was so easy with my Blendabilities markers! 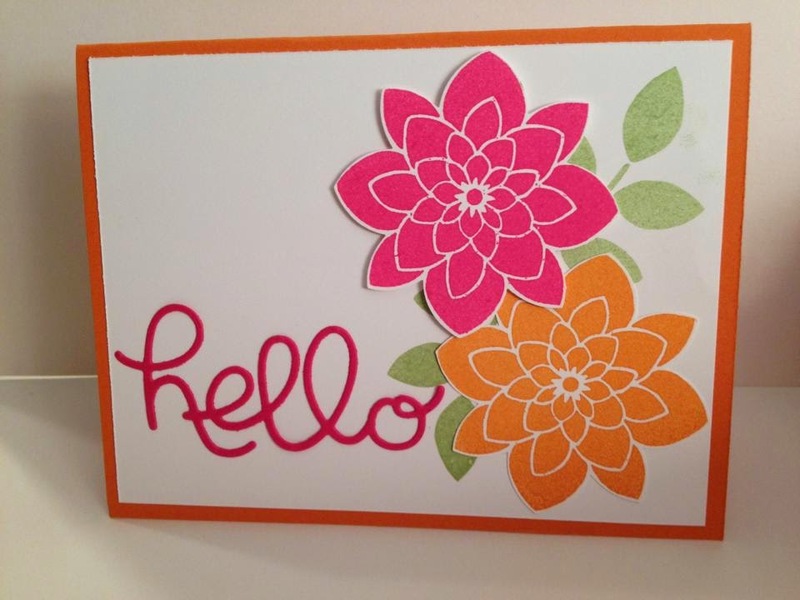 One of my stampers described this as a "happy card"today. I'm glad to know that's how someone else sees this card when making it. Imagine how someone might feel receiving it!?! 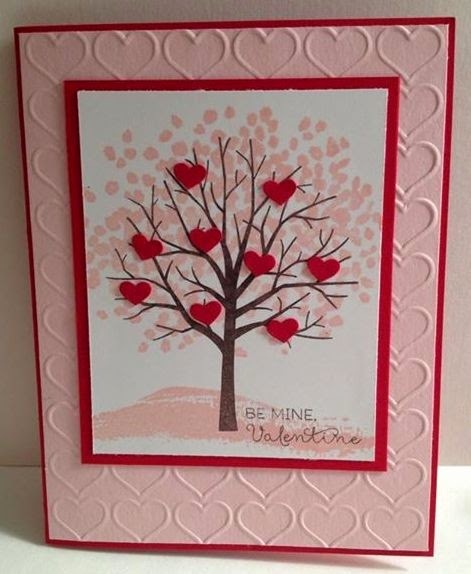 I posted this card on my Facebook business page last night, and it has been by far my most popular post! I must say I like it a lot too, and we will be making this Friday at my next Stamp-a-Stack. I went to a conference for work and haven't had my hands on a stamp in days! I sat down and created this one this afternoon. 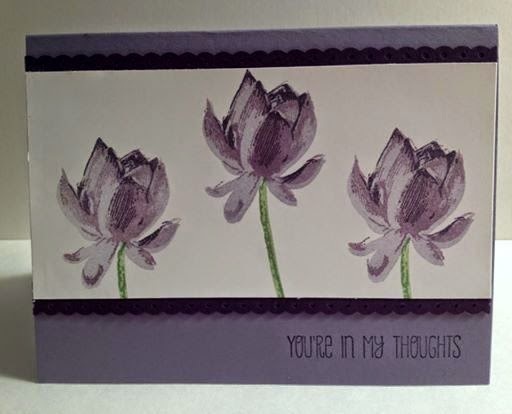 I know my stampers love this Lotus Blossom Sale-a-bration stamp set, and I love the 3 set stamping that shows off the shades of purple on the flower.